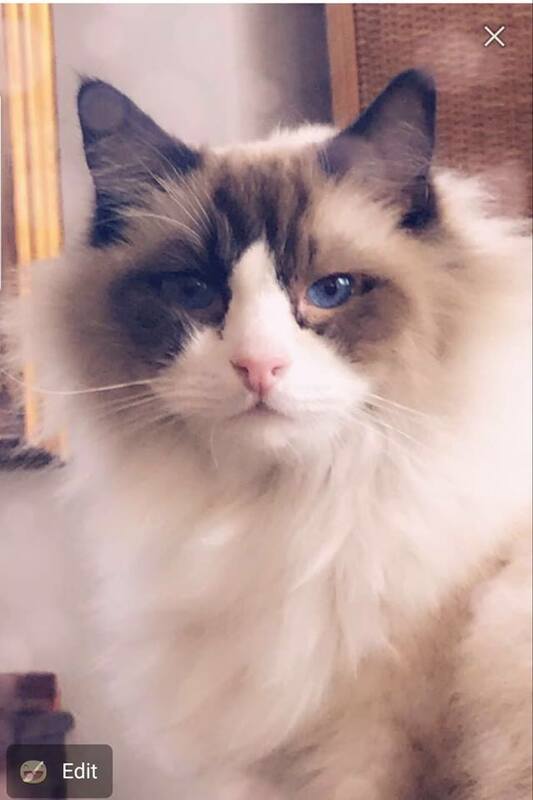 Long hair, blue eyes male Ragdoll, 5 years old, about 13 pounds. Very friendly and mellow. He needs special prescription food.